What did you think of What Does the Adverb Tell? Part 2 ? These adverbs usually end in -ly. Some adverbs tell how much. How much do you agree with me? 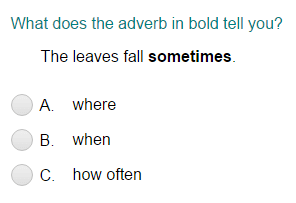 Some adverbs tell how often. How often you go fishing?